For most of its time as an IT industry buzzword, big data has been focused on numbers and letters. Sales numbers, medical results, weather, sensor readings, tweets, news articles all very different, but also all relatively low-hanging fruit. Now, however, it looks like the video is emerging as the next great source for companies to learn about consumers, and for everyone to learn about the world around them. Thanks to surveillance cameras, GoPros, Dropcams, cell phones and even old camcorders, we’re able to record video at unprecedented scale. YouTube sees 100 hours of new content added every minute. But it has been a wasteland of information. There’s lots of it embedded in all those frames, but without accurate tags or someone willing to watch all that video, it might as well have been uploaded into a black hole. Lately, though, techniques such as deep learning and other varieties of machine learning have led to impressive advances in areas such as computer vision, speech recognition, and language understanding. The companies doing the research largely at places like Google, Microsoft and now Yahoo. Yahoo is already using the #technology in production on things like voice commands on gaming consoles and cell phones, and on recognising images in online galleries to label and categorise them. It’s not too big a step to turn these techniques toward video. Researchers at the University of Texas are already using object recognition to create short summaries of long videos so people can know what they’re about without having to rely on titles alone. The video is in some ways easier to work with than images because the temporal natures of the frames add context that can help self-learning systems understand what’s happening. 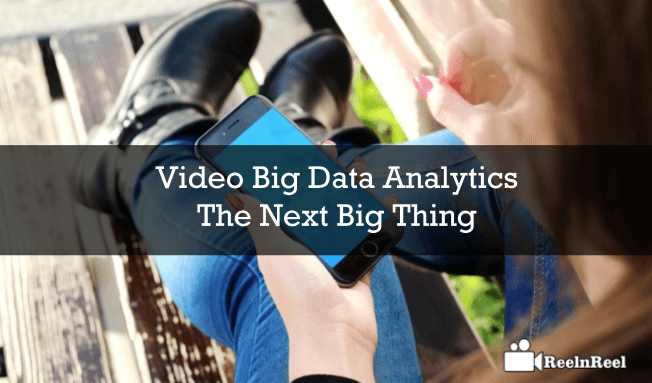 Over the longer term, as video analytics of high or space data become more widely accessible, it will change the way we understand the world. It will give everyone access to the data that, until recently, only militaries and intelligence agencies had at their disposal. It will let everyone see for themselves what is happening around the world and disrupt the current notion of the big data revolution. This is true freedom of information, and it is on the horizon.